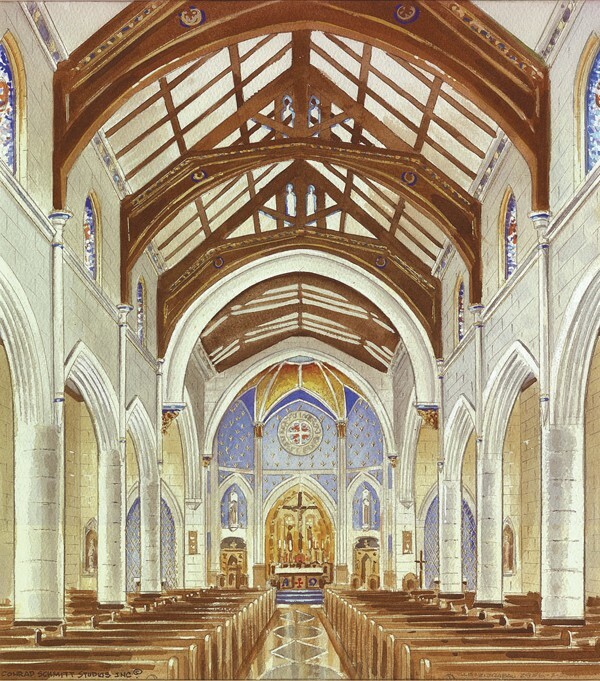 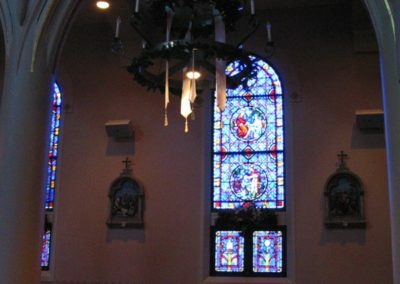 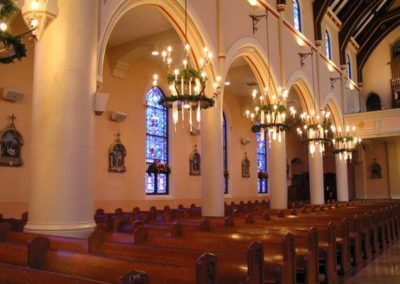 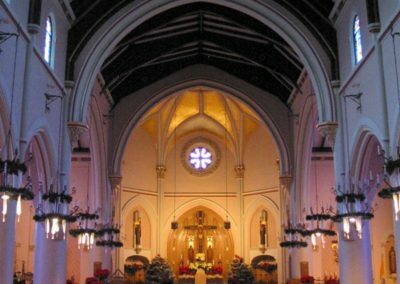 The parish of St. Francis de Sales, Houma, Louisiana, was founded in 1847. 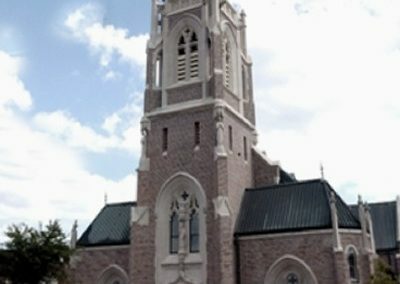 The original Romanesque style brick church was built in 1848. 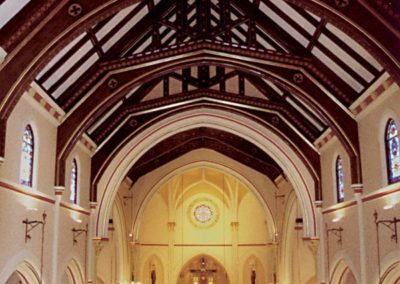 In 1926 a hurricane completely demolished the prized structure. 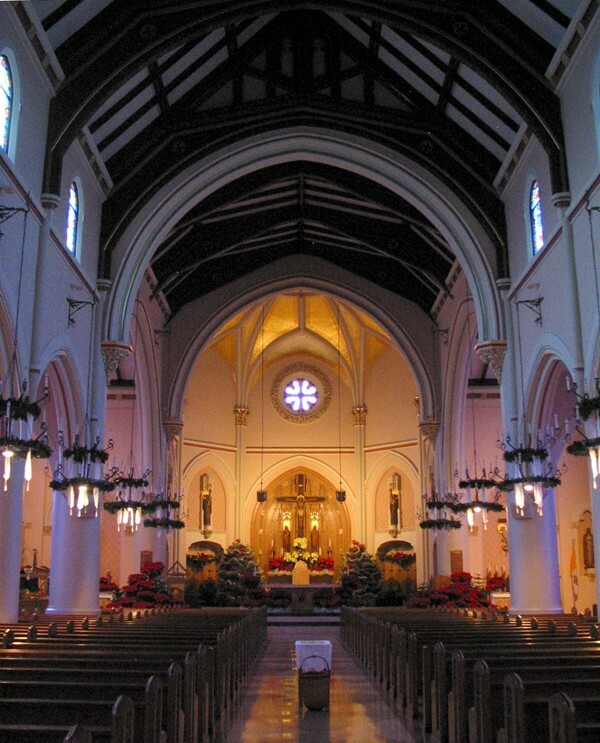 Shortly thereafter a new French-Gothic style church was built housing the displaced congregation. 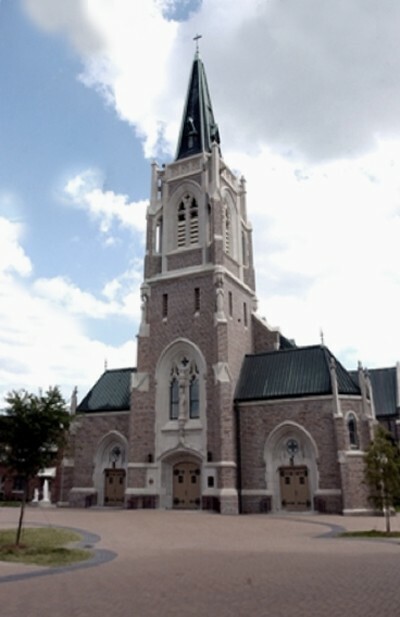 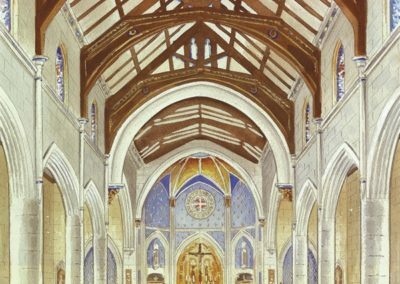 The new home of St. Francis de Sales was named a cathedral, making her the mother church of the diocese. 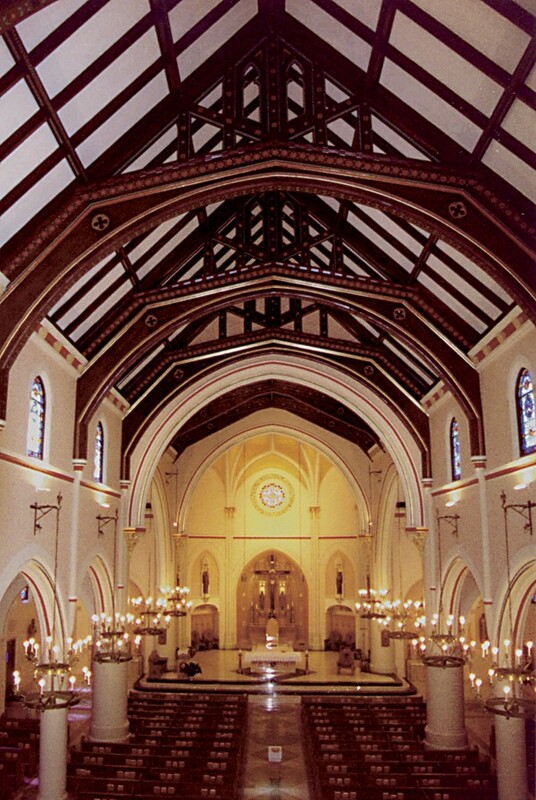 In 2002, the cathedral underwent extensive renovations and repairs. 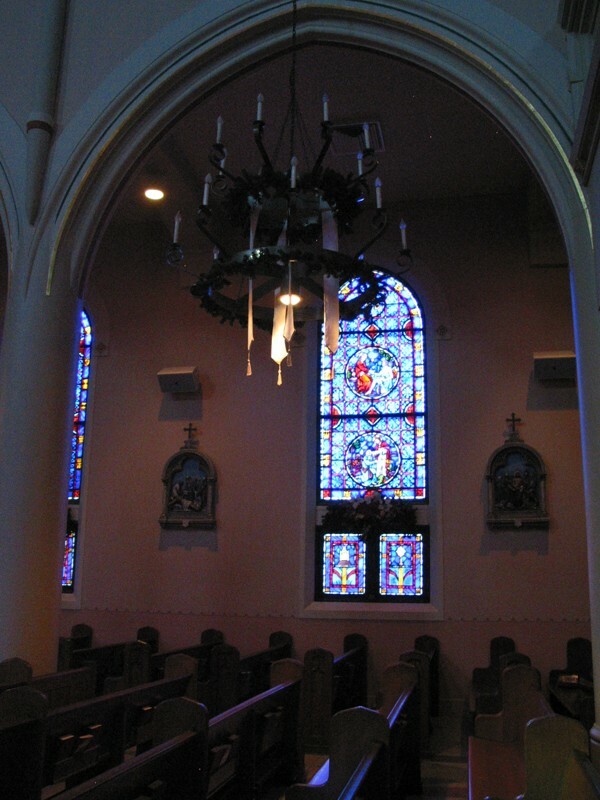 Conrad Schmitt Studios took responsibility for the interior decorative restoration. 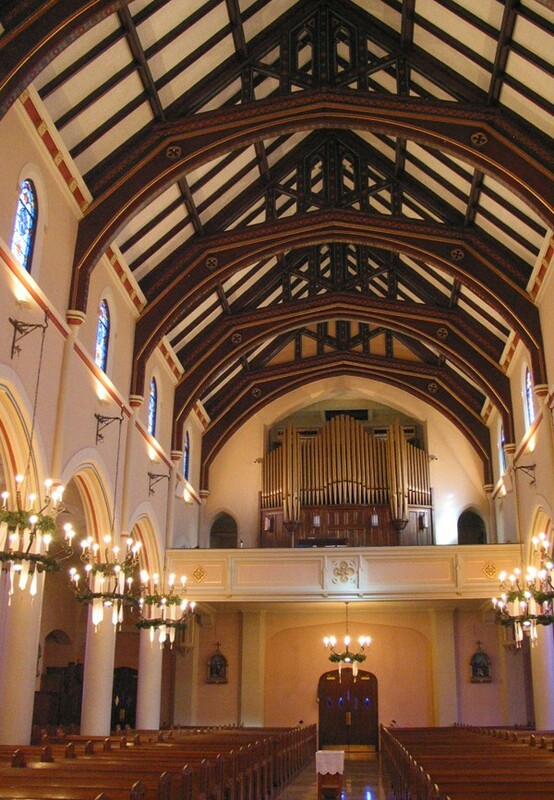 Damaged plaster on the walls and vaulted ceiling was repaired and reinforced with fiberglass treatment. 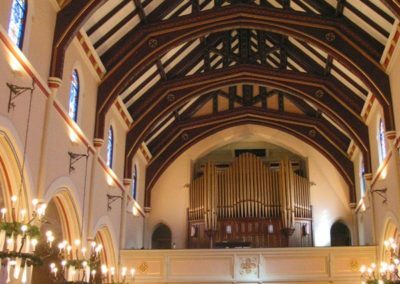 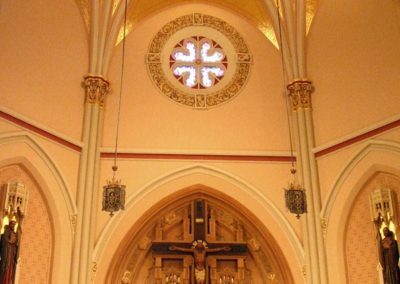 CSS artists created a lively new decorative scheme to energize the Church’s interior, including an entirely new paint scheme, glazing, gilding and stencilng. 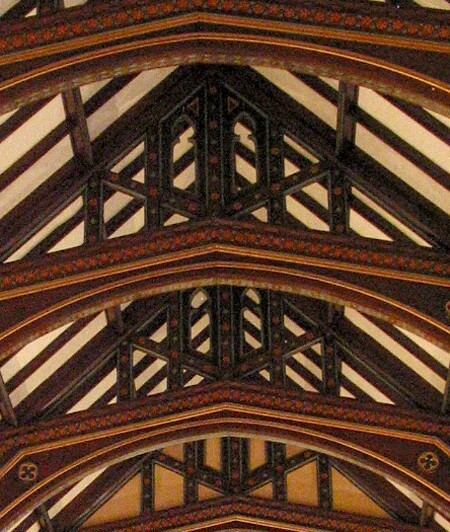 The smooth, cambered lines of the wooden ceiling beams presented an opportunity to apply subtle decoration. 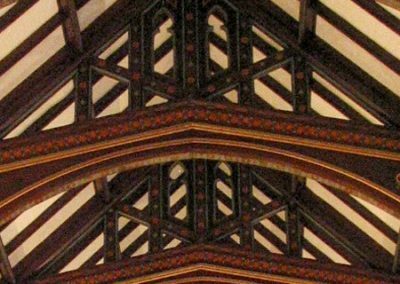 CSS artists created sample stencil work on ceiling beams to illustrate the power and elegance of this rather simple decorative element. 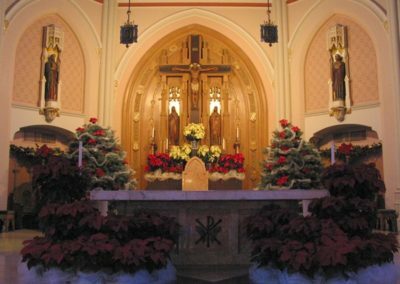 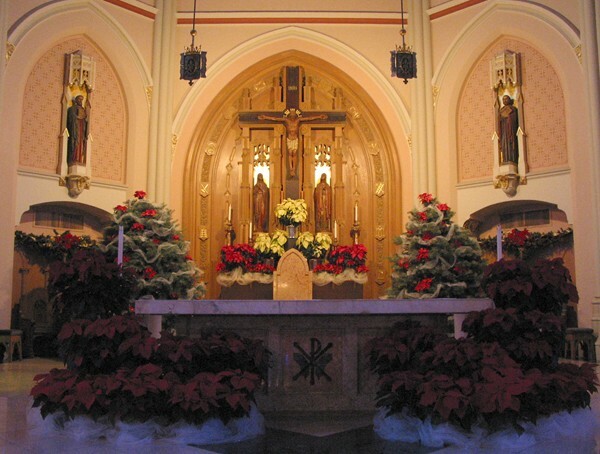 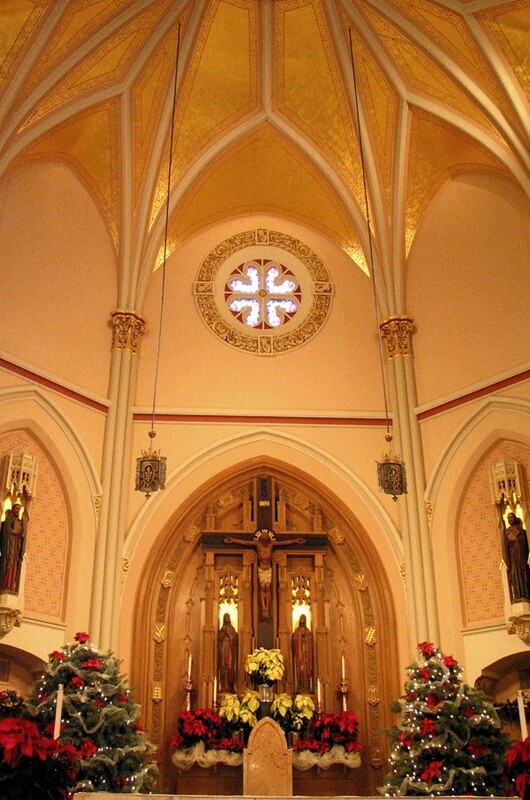 With unanimous approval, CSS completed the vibrant decoration of St. Francis de Sales stunning Cathedral.